Sojourner Truth (born Isabella (Belle) Baumfree) was an African-American abolitionist and women's rights activist. Truth was born into slavery in Swartekill, Ulster County, New York, but escaped with her infant daughter to freedom in 1826. After going to court to recover her son, in 1828 she became the first black woman to win such a case against a white man. She gave herself the name Sojourner Truth in 1843 after she became convinced that God had called her to leave the city and go into the countryside "testifying the hope that was in her." Her best-known speech was delivered extemporaneously, in 1851, at the Ohio Women's Rights Convention in Akron, Ohio. The speech became widely known during the Civil War by the title "Ain't I a Woman?," a variation of the original speech re-written by someone else using a stereotypical Southern dialect; whereas Sojourner Truth was from New York and grew up speaking Dutch as her first language. During the Civil War, Truth helped recruit black troops for the Union Army; after the war, she tried unsuccessfully to secure land grants from the federal government for former slaves. 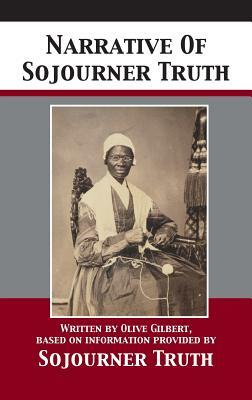 Truth started dictating her memoirs to her friend Olive Gilbert, and in 1850 William Lloyd Garrison privately published her book, The Narrative of Sojourner Truth: A Northern Slave.